Will drug makers be the target of the next industry-wide Foreign Corrupt Practices Act investigation, following in the footsteps of the oil and gas services companies and orthopedic device makers? It's possible. Their sales practices are in the news a lot these days. And amid the healthcare debate, drug-company behavior anywhere invites attention in Washington and beyond. Remember the orthopedic device makers? Like Pfizer this week and Eli Lilly earlier this year, they resolved enforcement actions based on illegal domestic sales practices. Soon after, most of them disclosed that the DOJ and SEC were looking into their overseas marketing methods for any FCPA offenses. Those investigations are ongoing. See our post Tough Medicine For Medical Device Makers. ◆ Pfizer's $2.3 billion civil and criminal penalty for unlawful prescription drug promotions. The New York Times reported here that: "To promote the drugs, authorities said Pfizer invited doctors to consultant meetings at resort locations, paying their expenses and providing perks. 'They were entertained with golf, massages, and other activities,' said Mike Loucks, the U.S. attorney in Massachusetts." (In January, Eli Lilly paid $1.42 billion to settle off-label marketing charges.) New York attorney general Andrew Cuomo said yesterday, "Pfizer's corrupt practices went so far as sending physicians on exotic junkets as well as wining and dining health care professionals to persuade them to prescribe the company's drugs for patients in taxpayer-funded programs." Using similar sales techniques with doctors at government-owned hospitals overseas could violate the FCPA. It's an 88-page extract from the company's strategic plan for turning the drug into a high-priced bestseller. The document was recently made public by the Senate’s Special Committee on Aging. Forest's plan includes tactics such as a ghostwriting program -- like the one discussed in our post Helping Doctors Cheat. The Lexapro marketing blueprint is aimed at the U.S. domestic market. Some tactics described in the plan, if directed overseas, could have FCPA compliance implications. A copy of Forest's marketing plan for Lexapro can be downloaded here. ◆ Pfizer's foreign lobbying practices. In July, a senator in the Philippines issued a press release here that accused Pfizer of using illegal tactics to block legislation aimed at lowering drug costs. Senator Mar Roxas said he had written a letter to the U.S. Justice Department requesting an FCPA investigation into Pfizer's practices. He accused the company of offering the country's health secretary "discount cards" in exchange for not implementing the retail drug-price law. I understand that your good office is responsible for the enforcement of the anti-bribery provisions of the Foreign Corrupt Practices Act, which makes it unlawful to make a corrupt payment to a foreign national for the purpose of obtaining or retaining business. Thus, any assistance that your office can extend in looking into the allegations of bribery against Pfizer will be invaluable to our efforts of lowering the cost of healthcare, starting with the prices of medicines, in our country. At this juncture, I wish to note that the actions of Pfizer may constitute the offense of corruption of public officials under Philippine laws, as defined in the Philippine Revised Penal Code. Pfizer disputes the senator's charges. It bought full-page ads in Philippines newspapers saying, "We categorically deny this allegation and consider this a grave affront to our reputation … We have always sought to provide wider access to our high quality medicines." Thanks to Cody Worthington for the link to the Philippine senator's press release. From an August 19 AP story: Drugmaker GlaxoSmithKline used a sophisticated ghostwriting program to promote its antidepressant Paxil, allowing doctors to take credit for medical journal articles mainly written by company consultants, according to court documents obtained by the Associated Press. The AP story here said drug companies often hire outside firms to "draft a manuscript touting a company's drug, retain a physician to sign off as the author and then find a publisher to unwittingly publish the work." It added that doctors eagerly participate because publication credit increases their prestige and professional standing. For their part, the drug-company salespeople "often present medical journal articles to physicians as independent proof that their drugs are safe and effective." This is the FCPA Blog so let's ask the question: Could a drug-company's ghostwriting program violate the Foreign Corrupt Practices Act? The FCPA's antibribery provisions prohibit among other things (1) giving anything of value (2) to a foreign official (3) to secure any improper advantage. See, e.g., 15 U.S.C. §78dd-1(a) [Section 30A of the Securities & Exchange Act of 1934]. (1) Anything of value? Producing high-level research and publishing the results in a reputable professional journal is hard work and a rare event for most people. As the AP story says, publishing papers always enhances the author's professional reputation. So an unsigned research-based manuscript of publication quality that a doctor can call his or her own is as good as gold. Strike one. (2) Doctors working in government-owned or managed hospitals overseas are "foreign officials" under the FCPA. Strike two. (3) Medical-journal articles that tout a drug and falsely appear to be written by independent doctors can easily secure an unfair advantage for the company and its product. In fact, that's the whole idea. The AP story says Glaxo's ghostwriting program, according to an internal memo, was designed to "strengthen the product positioning and overcome competitive issues." An unfair advantage it is. Strike Three. And that's how a drug company's ghost-writing program could violate the Foreign Corrupt Practices Act. Will there ever be an enforcement action based on one? Who knows? 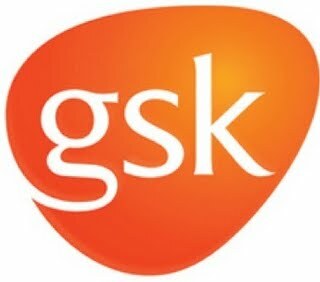 Final notes: GlaxoSmithKline has never been accused of violating the FCPA (or apparently any other law) because of its ghostwriting program. A spokesperson for the company said the program mentioned in the AP article "was discontinued a number of years ago." Paxil, the drug promoted by the program, is the subject of wrongful-death lawsuits that allege the company downplayed risks associated with the drug, including increased suicidal behavior and birth defects.